There’s much to give thanks for, from good health to friends and family. However, given that I’m in the tech biz I thought I’d note my top 10 tech thanks this turkey day. 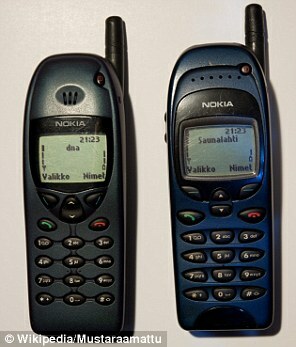 My first cellphone was a Nokia, with the pre-requisite leather bra, on the Cellular One network. I think it had a $29.99 monthly fee and $1.99 a minute. Needless to say I barely used it for fear of racking up big charges. Then came the clamshell Samsungs with a small allowance of minutes. Then truly revolutionary was my first blackberry. Mobile became a reality on that day. I wasn’t an early adopter of the iphone, but I’ve been an avid consumer of all versions, including iPads, having just bought an iPad Pro for my wife as we look to say goodbye to the last PC in the household. For work, mobile has really become a key enabler for both doing my job as Reltio’s CMO, to our platform deploying applications with mobile form factors and UI to enable our frontline business users to have access to information, recommended actions and to collaborate on the go. These days, B2B apps are expected to have mobile support across a variety of devices, and we are no exception. Form factor continues to get smaller with the Apple Watch, so it’s only going to get more interesting. I started working professionally with databases on the IBM System/36/38 and eventually an IBM Midrange machine called the AS/400. Back then the database was proprietary, until the age of “open systems” and UNIX became a business option. I was the first to learn Oracle and Informix back in 1992 at my company, architecting and porting a development platform to support the then renamed SQL/400, as well as Oracle and multiple flavors of Informix, and Sybase. Data modeling, 3NF, stuck with me everywhere I went even as my career took me to product management at GoldenGate Software, then Siperian (more about MDM later). With customer profile data volume reaching a many as a million records (Gasp!) in B2B companies back in 2003, these relational databases were really being put to the test. I still remember trying to make Siperian work with our architecture team on Microsoft SQL Server back in 2006. With apologies to our friends at Microsoft, it wasn’t an easy task. Today we have choices, and more companies are turning to the NoSQL or even NewSQL class of databases, with columnar and graph databases providing significant benefits at scale, they are offering complementary and in some cases a better alternative to traditional relational data stores for agile business needs. I never met-a-data I didn’t like. Metadata has followed me throughout my career. Most of the successful technologies I’ve been associated with have used it as an abstraction layer for a logical design so it could be deployed to any physical environment. This protected and insulated companies from hardware and software changes, allowing them to take advantage of new capabilities quickly without complete rewrites. I’ve never worked for a BI or Analytics company, but I have tremendous respect for the visualization and insights they deliver. Every platform company I’ve been a part of has had a partnership throughout the years with Business Objects, Cognos, and now QlikView and Tableau. It’s amazing to see the plethora of new tools for data discovery, analysis and visualization. The likes of Platfora, ClearStoryData and others are delivering amazing capabilities on top of big data (more later). For Reltio, we are focusing our Platform as a Service to deliver relevant insights through business facing applications. Our contention is frontline business users aren’t able to use those offerings, nor are they a target of those products as they are more data scientist focused. Instead they want business insights delivered, in context with their daily activities and goals, and in most cases they want recommended actions (e.g. what should they do about it), not just insights. Customer service, engagement and marketing in consumer sites such as Amazon are light years ahead of B2B. While most B2B companies still insist on using marketing automation tools, sitting behind the wizard’s curtain, stealthily cookie-ing and tracking website page clicks, consumer sites are offering true value in exchange for customers opting-in and providing their information. While this is changing, B2B marketers have a long way to go, both in their use of data (cue the term data-driven, which I’ve avoided thus far), and their methods of multi or omnichannel engagement. Given that Reltio’s platform brings data together across all channels, sources, cleanses, blends the information together, and gives easy onboarding access to third party and public data sources, it’s really a marketers and CMO’s dream, and I’m thankful that I have access to our own technology, while evangelizing it to others. Speaking of consumer sites, I have to give thanks to LinkedIn. I remember first being introduced to LinkedIn back in 2005 by my friend Wasim Ahmad. I created a profile and honestly deleted it almost immediately (actually I had to call to have it removed). I think I was one of the first 1000 profiles on there. My reason? Why on earth would I want to publish my work history publicly, fearing identity theft and security? It wasn’t till a few years later when I started to use it as a networking tool, that I realized that profile data and the quality thereof, thought important was really not the valuable data in the equation. It’s the relationships. Who is affiliated to whom, and how they are interconnected both through direct connections, where they worked, what groups they belong to, are the nuggets that drive influence and B2B hiring and purchasing behavior. Which is why my decision to join Reltio had one significant pre-requisite, graph concepts had to be a strong part of the platform. Our commercial graph, mirrored after those used by LinkedIn and Facebook, really unlocks the secrets and complex, real-world dependencies and affiliations across all entities. It’s been amazing to see how many problems it is able to solve. Companies who have struggling to force-fit their business needs into relational models have told us they feel like their technology constraints have finally been lifted. Call it a buzzword, call it overblown, but I spent 4 years at a big data database company focused on making the big data problem smaller. I saw first hand how Mike Olsen built Cloudera into the amazing company that it is now, and the billions that continue to be poured into Hadoop, in pursuit of bigger, better insights among growing volumes and now the emergence of the IoT. Closely behind my graph pre-requisite for joining Reltio, was a scalable big data core. Being able to scale to limitless volumes, and to dial-up or down through elastic resources (more about public cloud later) to me was key for the future of B2B interactions. Even though industries such as life sciences (outside of R&D) were dealing with non-big data volumes, having that foundation to perform at scale, provided the agility and flexibility, as well as future-proofing that would dictate the longevity of any software vendor. As a CMO, I’m constantly being bombarded by vendors wanting to sell me the latest, “most accurate lists”, with segmentation performed either by them, through criteria I describe, then delivered to me in Excel. Oh and by the way, I’m not allowed to look at their data before I buy it. Data as a Service today means not only real-time access directly into applications. Offloading IT’s burden (much in the same way they don’t have to do reports now that self-service BI is ubiquitous) in ETL-ing batch updates of purchased lists is another benefit. But ultimately it’s about transparency, choice and quality of data. Today’s modern data management platforms with DaaS built into data-driven apps, provide access to the information, when the business user wants it, anytime, anywhere, mobile and in context with their goals. The information is seamlessly blended together using MDM (next topic finally! ), and relationships instantly surfaced through graphs. This was articulated nicely as well by Dun and Bradstreet (a Reltio DaaS partner) and their CMO Rishi Dave in this excellent post. Another key aspect is the power of crowd, and applications that allow anyone to contribute to augmenting and improving the quality of data for an enterprise, which is a competitive asset. I did not make this a pre-requisite for joining Reltio, because I knew it was in their DNA. As part of the original team that developed Siperian (now Informatica MDM), I knew that having reliable data would be at the very foundation of the platform. And indeed, without MDM, nothing else really matters. Analytics over bad data is meaningless, and no amount of machine learning can undo incorrect data values. Which makes MDM even more important in the age of big data. Data lakes will become swamps, with billions wasted if governance and data quality are not part of the complete data management framework. So I give thanks not actually just to MDM, but to all the other technologies that rely on it as a foundation. For businesses MDM has been a technology that has promised much, but has been light on value for the associated cost. That is changing rapidly as companies are going beyond MDM in a big way. Last but not least, I’m giving tech-thanks for the Cloud and “as a Service” (and also by virtual of Salesforce,com’s pioneering efforts, Marc Benioff for leading the way). Driving down the cost and bringing capabilities and applications to the masses, those with and without IT teams. Thanks to Amazon Web Services and others for Infrastructure as a Service, upon which our Platform as a Service, and data-driven apps can run confidently, with resiliency, at price points that allow us to pass on value to our customers, 3 times or more a year, with no impact upgrades. There you have it, my top 10 list. I would love to hear yours if you have time do comment below, or drop me an email. Maybe after Thanksgiving I’ll do a top 10 turkeys list … well maybe not. Have a safe and happy Thanksgiving. My best wishes to you, and our friends, partners, customers at Reltio. a reservoir of knowledge on tap. and an Internet of this and that. into a whirlpool of visualization. mixed in an ocean of imperfect correlation. only a dam of reliability can stop the pain. by steering towards a closed-loop happily ever after.